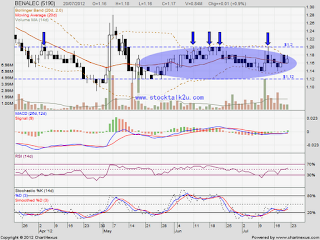 BENALEC forming bolinger band squeeze within RM1.12 to RM1.20 level. When will it break through? 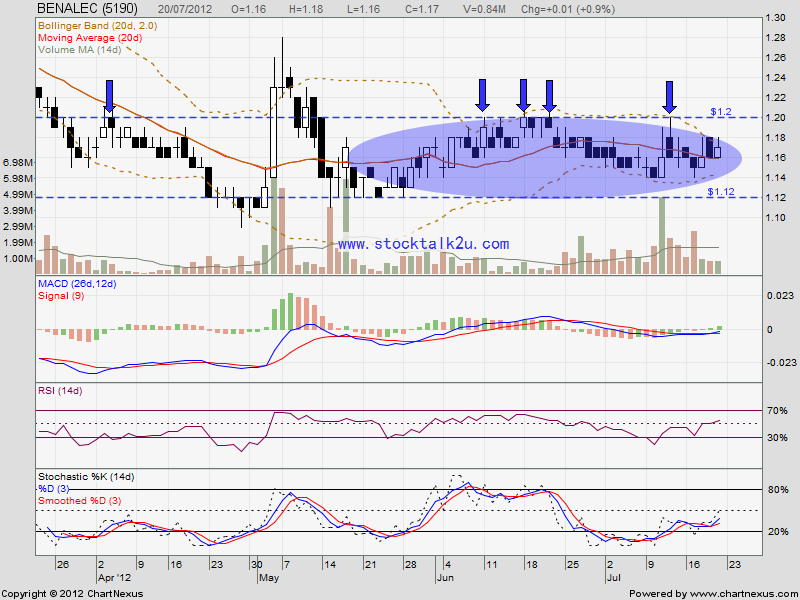 MACD indicator trade at negative region, downtrend sign.